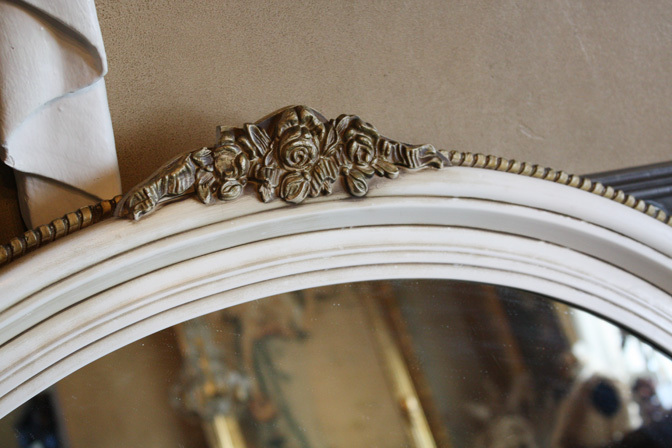 I have had this wonderful mirror as part of my person collection for many years. It is simply divine. 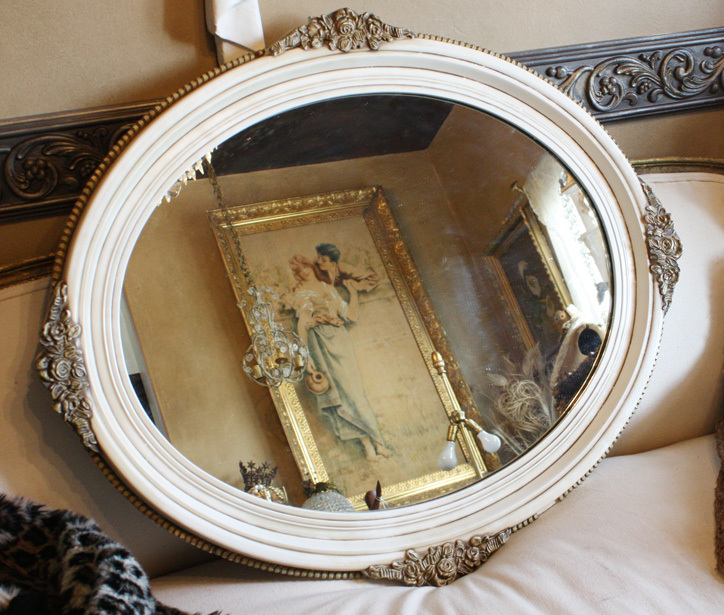 the cream paint and aged gilt gold have the perfect patina that only time can create giving this mirror such desire. These colors put together bring such a beautiful French look to any room. 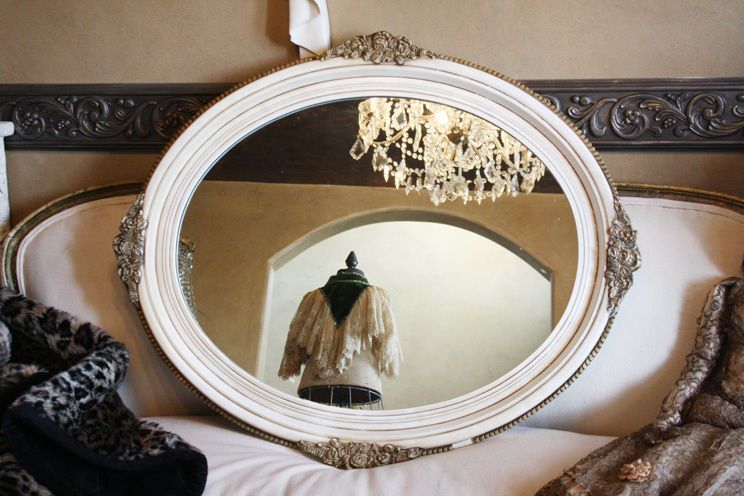 Measurements are 35x29 and it can be hung vertically or horizontally.